If you need a permanent replacement for your leaky roof. Want to lower your energy and maintenance costs. Or are simply looking to enhance the curb appeal of your home. Triangle Roofing Company’ residential & commercial metal roofing options are the perfect solution. With benefits ranging from low maintenance to energy efficiency, metal is the foremost roofing material in the industry. 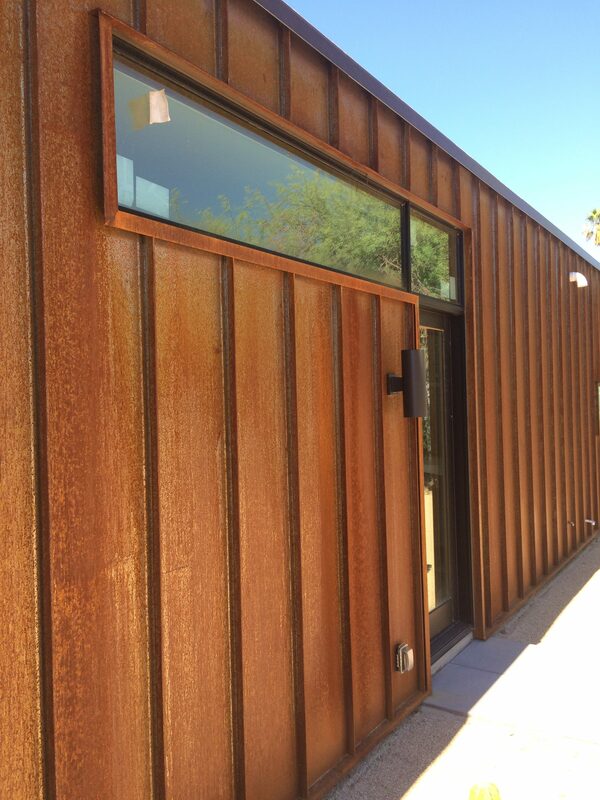 We offer exposed fastener, hidden fastener and standing seam metal panels for your home. Residential metal roofing and siding is recognized for its durability and resistance to harsh weather, providing increased protection for your home against wind, hail, ice, snow, and fire. 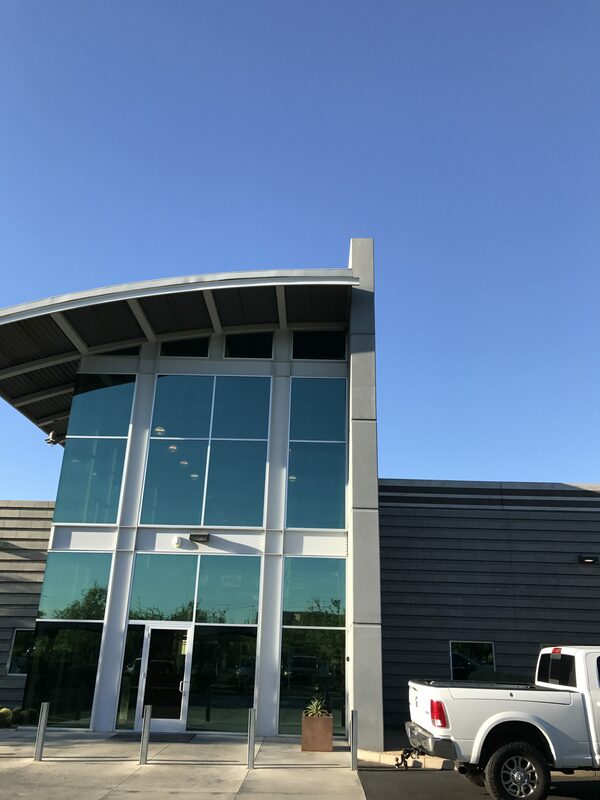 Metal panels are covered by Underwriters Laboratories (UL) Class A* Fire Rating, UL 90 wind uplift rating and Class 4 UL Impact Resistance (hail) rating. Installation of metal roofing is also a fairly simple process, and Triangle Roofing Company provides numerous installation and turn key services. 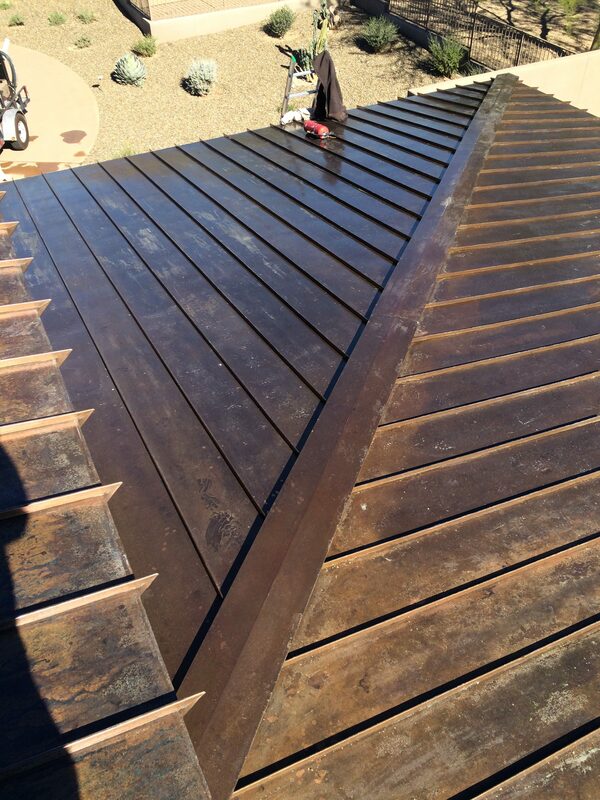 For information about our residential and/or commercial metal packages, please contact your local sales representative in Cave Creek – Carefree, Fountain Hills, Phoenix, Paradise Valley, Scottsdale. You can also browse our metal roofing color resources, including our colors charts and roofing gallary to find the best panel color to fit your projects style. Properly designed and installed, cool metal roofs can reduce energy consumption, providing cost savings and immediate return on your investment. Triangle Roofing Company’s superior quality panels help extend the life of your roof and our broad spectrum of colors, finishes, and gauges give you the beauty and comfort you expect. Metal roofing has a higher initial cost than other roofing materials; however, your metal roofing investment will save you time and money in the long term. Compared to asphalt shingles, metal roofing has a longer lifespan (15-18 years vs. 60+ years), requires only annual maintenance, and reflects heat, making it more energy efficient than a traditional asphalt roof. These benefits make metal roofing a better long-term investment for your investment.